Show that treacherous mine you mean business. Miniclip's Rail Rush drops you into a runaway mine cart headed for disaster, where your only chance at survival involves jumping over obstacles, making it safely to different tracks and ducking beneath pieces of wood while collecting gold nuggets along the way. It's fast-paced, user friendly and most importantly, a lot of fun. Come to think of it, you'll probably die a lot, so to help maximize your efforts, check out this Rail Rush cheats and tips guide. This isn't the type of game where you answer the phone or get up to make something to eat with the idea that your character will be safe and sound (along with motionless) when you come back. The mine cart in Rail Rush constantly moves and the track changes all the time. Remove your eyeballs off the screen for just a second, and you can kiss your character goodbye. Tip: Complete missions to earn bonuses in the next game. During your travels, you'll come upon glowing rock eggs. These rare items often contain rewards, but not always, leaving the door wide open for a very important decision. Tap the rock egg to see what's inside, fully aware it may be empty, or cash it/them in for gold nuggets? Decisions, decisions. Tip: Collect gems. They're worth multiple nuggets. 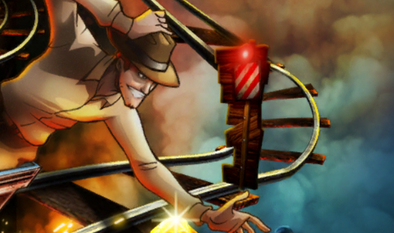 Rail Rush's adventurers each possess unique abilities that prove useful during play. Some cost real world cash, others gold nuggets. All of them, aside from Bob Molechaser, make the game a bit easier. 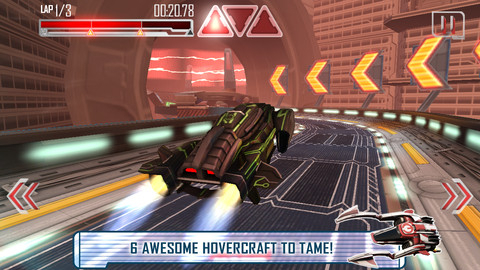 Twinblade San ($4.99): He destroys both side obstacles with his blades. Julie Braveheart ($4.99): She destroys wooden upper and lower obstacles with her sword. Ace Upsleave (10,000 gold nuggets): Nuggets he collects are worth 10 percent more. Axel Firechief (30,000 gold nuggets): He can break upper obstacles using his axe. Daryl Plankbuster (50,000 gold nuggets): She can destroy left obstacles with her guns. Charles Longshot (50,000 gold nuggets): He can destroy right obstacles with his rifle. Part with some nuggets to strap key power-ups and items to your cart. Mega Magnet Force ($4.99): It attracts all bonuses forever. 3X Magnet Force (600 gold nuggets): It attracts only nuggets for the whole run. 3X Super Magnet Force (1,000 gold nuggets): It attracts all bonuses for the whole run. 3X Wood Ram (1,500 gold nuggets): It destroys one lower obstacle, then it breaks. 3X Iron Ram (3,500 gold nuggets): It destroys two lower obstacles, then it breaks. 3X Wood Grid (1,500 gold nuggets): It saves you from one upper obstacle, then it breaks. 3X Iron Grid (3,500 gold nuggets): It saves you from two upper obstacles, then it breaks. 3X Wood Left Spikes (750 gold nuggets): It destroys one left side obstacle, then it breaks. 3X Iron Left Spikes (1,700 gold nuggets): It destroys two left side obstacles, then it breaks. 3X Wood Right Spikes (750 gold nuggets): It destroys one right side obstacle, then it breaks. 3X Iron Right Spikes (1,700 gold nuggets): It destroys two right side obstacles, then it breaks. 3X Wood Side Spikes (1,400 gold nuggets): It destroys one side obstacle, then it breaks. 3X Iron Side Spikes (3,000 gold nuggets): It destroys two side obstacles, then it breaks. Having trouble? Nothing a little TNT can't fix, among other goodies. Second Chance (3,000 gold nuggets): Gives you a second chance to run a little more. 500M Head Start ($1.99): Gives you a permanent 500m head start. Steam Power (1,500 gold nuggets): High-speed automatic cart engine. It lasts five seconds. Super Steam Power (3,500 gold nuggets): High-speed automatic cart engine that lasts 10 seconds. Mega Steam Power (30,000 gold nuggets): Permanent high-speed automatic cart engine that lasts 10 seconds. You can reuse it once in every game. TNT Stick (1,000 gold nuggets): It clears away all wooden obstacles for 200 meters. TNT Bundle (3,500 gold nuggets): It clears away all wooden obstacles for 200 meters. Equipped with three. Super TNT Stick (2,500 gold nuggets): It clears away all obstacles for 400 meters. Super TNT Bundle (7,500 gold nuggets): It clears away all obstacles for 400 meters. Equipped with three. Hand Brake (2,000 gold nuggets): It slows down the cart for five seconds, then it breaks. Mega Brake (30,000 gold nuggets): It slows down the cart for five seconds, then it breaks. You can reuse it once in every game. Unlock Mission 1 (10,000 gold nuggets): Automatically unlocks missions. Enter SECRET level five times. Unlock Mission 2 (10,000 gold nuggets): Automatically unlocks mission. Buy and use STEAM POWER in a game. Unlock Mission 3 (10,000 gold nuggets): Automatically unlocks mission. Near miss with five LEFT obstacles in a game. Head to the Rail Rush Facebook page and Like it to earn 3,000 nuggets. Conversely, you can purchase more, in case you prefer to speed up the collecting process.